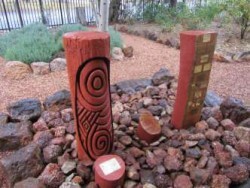 The traditional custodians of the land are the Gamilaraay/Yuwaalaraay people. the Christian Brothers came to teach at the school. 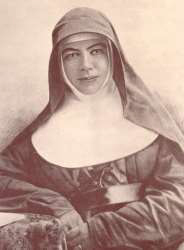 The school has its origins in the vision of Saint Mary of the Cross MacKillop, a woman dedicated to the education of the poor, and Blessed Edmond Rice, the founder of the teaching order of Christian Brothers. While St Joseph’s serves the Catholic Parish of St Mary’s in the township of Walgett, our open enrolment policy encourages all children to apply to attend our school. 40% of our children are of Indigenous origin. 2008 saw an exciting major rebuilding/refurbishment program and the school now boasts 8 new and refurbished classrooms and administration building, with leading information technology facilities throughout, to enhance teaching and learning. In 2012 Senator Matt Thistlethwaite opened our New Multipurpose Hall and the Language Cultural Centre. These new facilities have provided us with great spaces to ensure our students have state–of–the art facilities in which to work and learn. I would like to thank the wonderful group of parent helpers who contributed to the completion of the buildings by providing concreting and landscaping.